Deer Grove: Deer Grove in Palatine has long been one of my favorite spots. Trails at Deer Grove lead you through a wide variety of habitats including prairie, forest, wetland and more. The preserve is quite large, so the variety of trails provide for many unique experiences all year. Forest bathing at Deer Grove Forest Preserve in Palatine. Matthiessen State Park: Matthiessen State Park in Oglesby was one of our favorite new finds last year. We loved being able to walk the canyon floor admiring waterfalls from below. Depending on water levels, hiking can have a few challenging spots. But take your time, it is worth it! Starved Rock State Park: Of course, you can't skip Starved Rock State Park which like nearby Matthiessen is full of waterfalls, canyons and bluffs. While being a star, it is more crowded than nearby Matthiessen. We usually plan to arrive area for a day of hiking up onto bluffs and down into canyons. Taking in a view at Waterfall Glen. Waterfall Glen: Waterfall Glen in Darien is a particularly geologically diverse preserve. 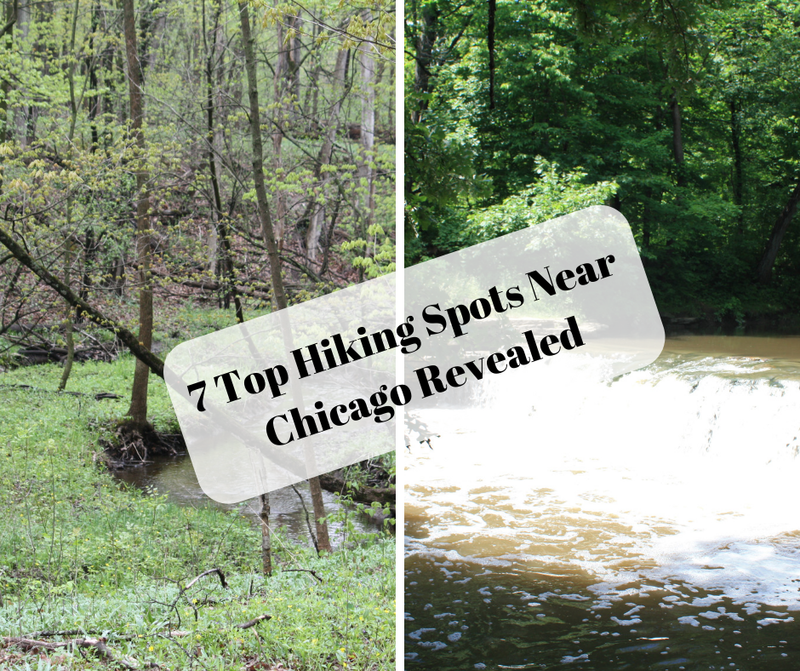 Popular spots include Rocky Glen waterfall and Sawmill Creek Bluff overlook. The extensive trail systems take you through a range of habitats including prairies, savannas and oak-maple woodlands. Waterfall Glen has 11 miles of trails featuring rolling to hilly terrain waiting for adventure. 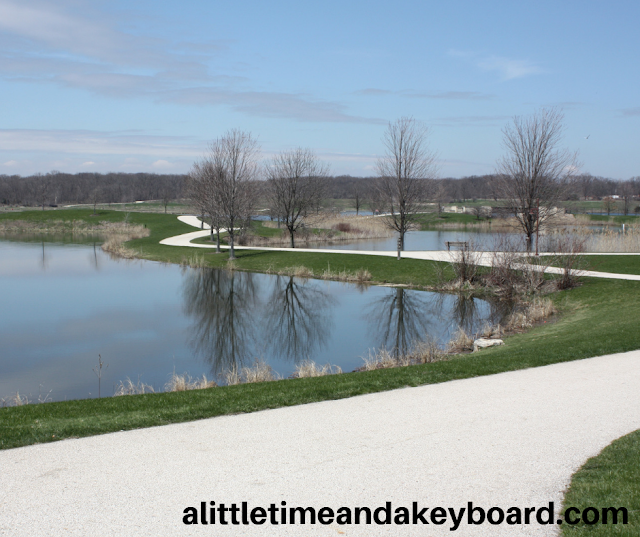 Independence Grove: Independence Grove in Libertyville features particularly picturesque trails that trace a lake, ponds and wetlands. When my daughter was younger, I loved to couple a hike with a visit to the beach and a nice picnic. There also is a huge park, so when the kids are done hiking they can enjoy the park! Hiking along the lake at Independence Grove. Fullersburg Woods: Fullersburg Woods in Oak Brook weaves together wonderful trails and history. 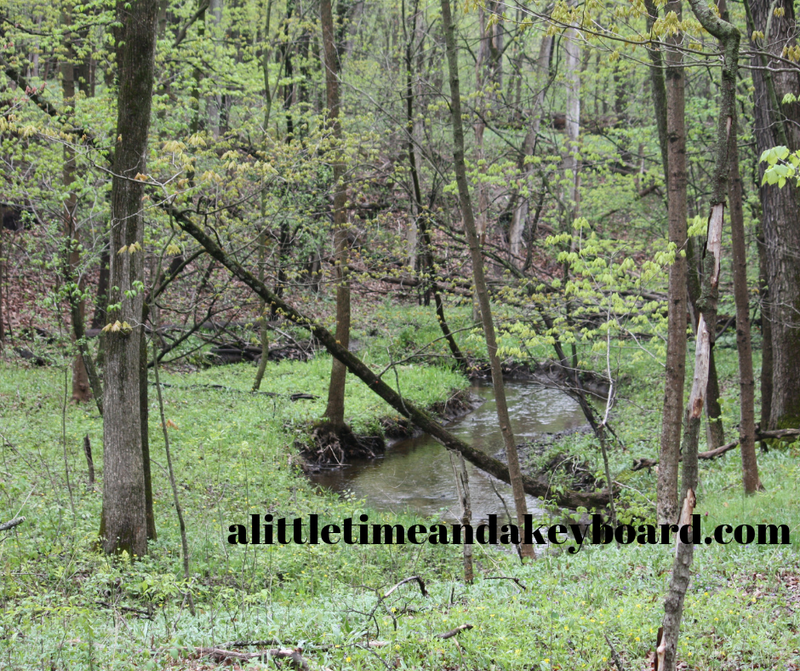 Fullersburg Woods has a series of trails that weave along Salt Creek. Graue Mill in Fullersburg Woods is an old gristmill and was a site on the Underground Railroad. Volo Bog: Volo Bog in Ingleside is a very unique preserve and includes the only quaking bog in Illinois. There are quite a few trails besides the area of the boardwalk, so you can get in quite a hike traveling through a variety of ecosystems. We like to visit a variety of times throughout the years to see the seasonal changes. Further exploration of Dan Wright Woods and Blackwell Forest Preserve: My visits to each of these were cut short, so I would like to spend more time at each. Goodenow Grove Nature Preserve: Ok, I will admit that I fell in love with pictures of the bridge. But, there are a variety of outdoor activities at this preserve so I think it is a worthwhile check out. Plus, it is home to Plume Creek Nature Center. Buffalo Rock State Park: Near Matthiessen and Starved Rock is another preserve, Buffalo Rock State Park boasting fabulous views! Danada Forest Preserve: I have been to Danada Forest Preserve in Wheaton before for the equestrian center but I have not checked out the trails yet! Midewin National Tallgrass Prairie: I would love to see the restored prairie at Midewin and meet the bison! Where else should I go hiking? Leave a comment with suggestions! 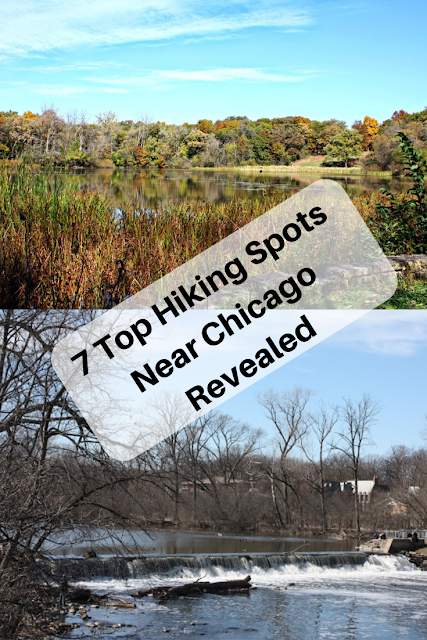 These are some great hiking ideas. We love Starved Rock and Independence Grove with the kids. Excited to try out Deer Grove & Waterfall Glen. Thanks so much for the suggestions. We needed some new hiking ideas!